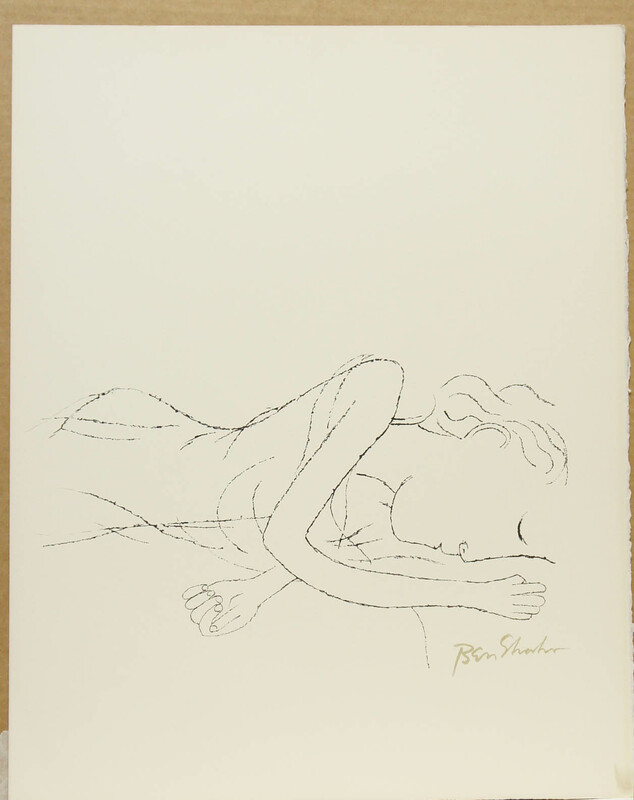 " Of Light, White Sleeping Women In Childbed" From The "Rilke Portfolio"
Lithograph on Richard de Bas, 1968, with the printed signature, the original portfolio was released in an edition of 200,, As printed by Atelier Mourlot, New York. Condition: In very fine condition, with the occasional soft crease or minor smudge in the margins. References: As recorded and illustrated in Fgure 133 in "The Complete Graphics Works of Ben Shahn" by Kenneth W. Prescott. Note: Probably a printer's proof aside from the regular edition.